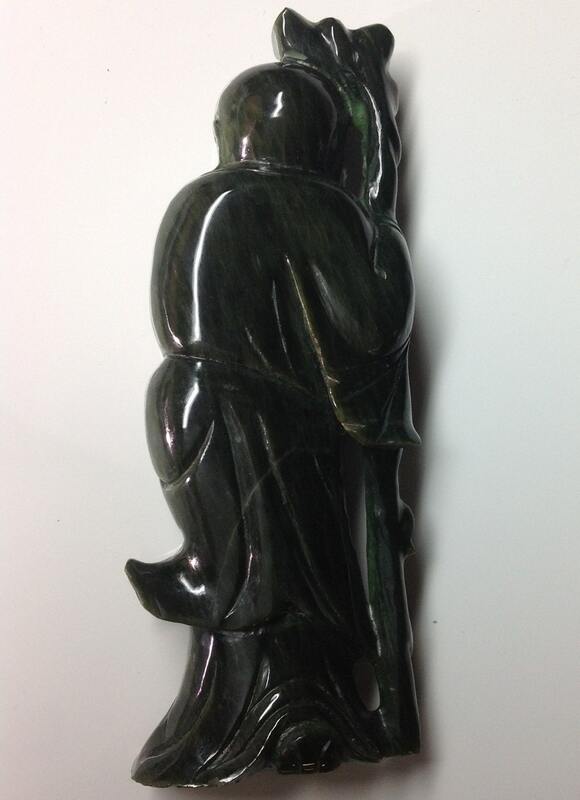 An extremely handsome Chinese carved green hardstone statue is offered. 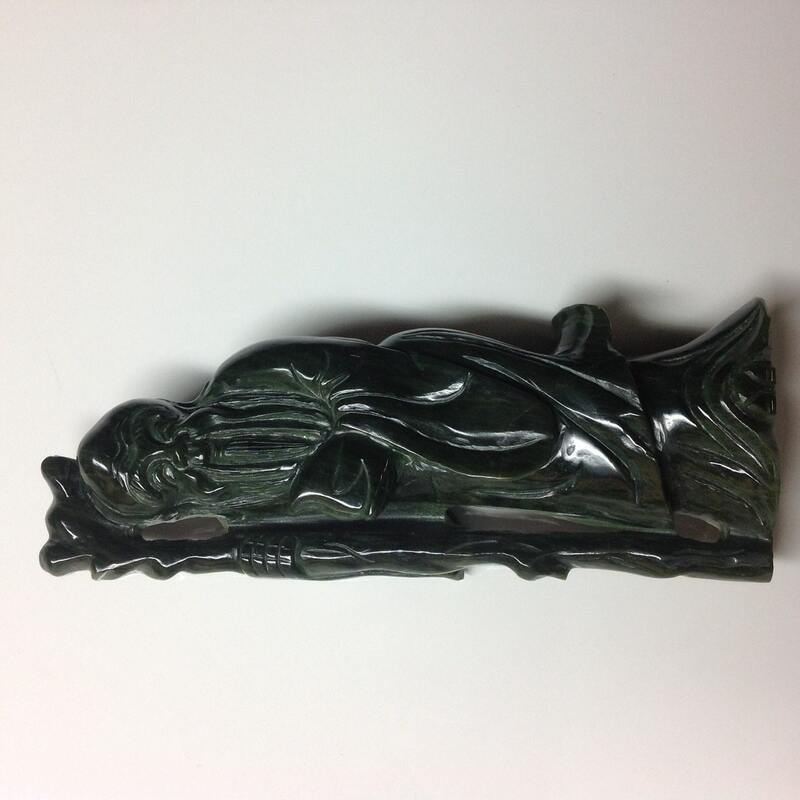 This piece likely dates to 1960s or so. 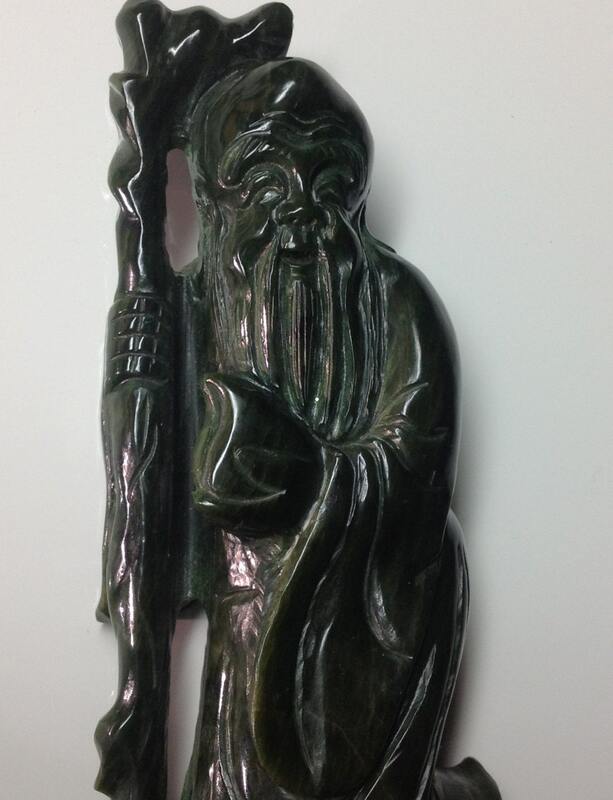 The composition of the piece is a bearded Shou god (longevity) figure holding his traditional gourd and staff. 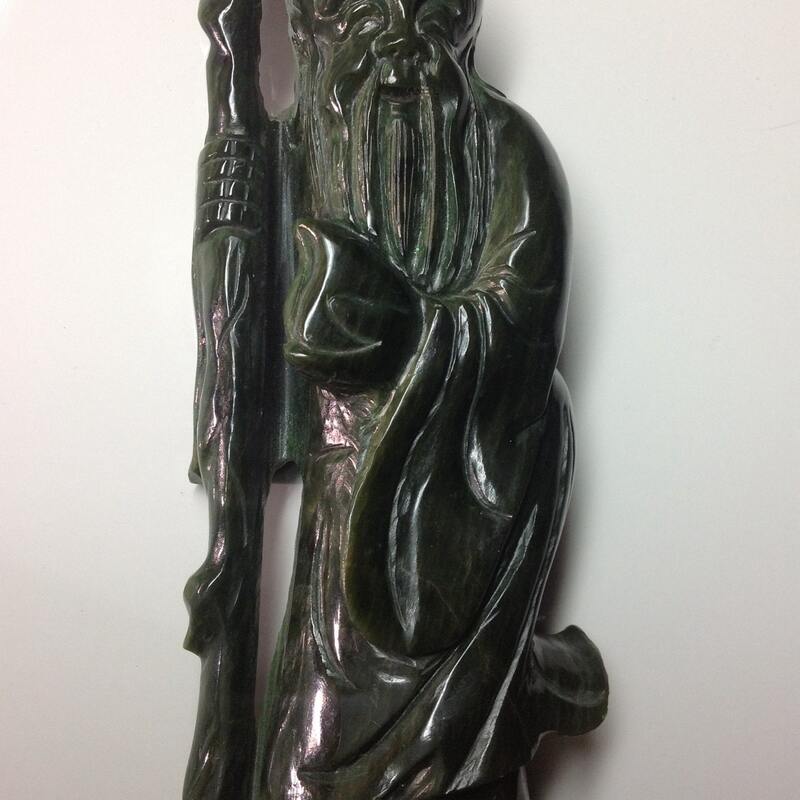 Carving quality is high with a high polish finish and good attention to detail, especially on the beard and the facial features of the figure. Tool marks are evident on the stone upon close inspection. Stone is dark green with some black inclusions and a prominent grain throughout. Statue without base (not included) is 7". The Shou star (壽) is α Carinae (Canopus), the star of the South Pole in Chinese astronomy, and is believed to control the life spans of mortals. According to legend, he was carried in his mother's womb for ten years before being born, and was already an old man when delivered. He is recognized by his high, domed forehead and the peach which he carries as a symbol of immortality. The God of Longevity is usually shown smiling and friendly, and he may sometimes be carrying a gourd filled with Elixir of Life. 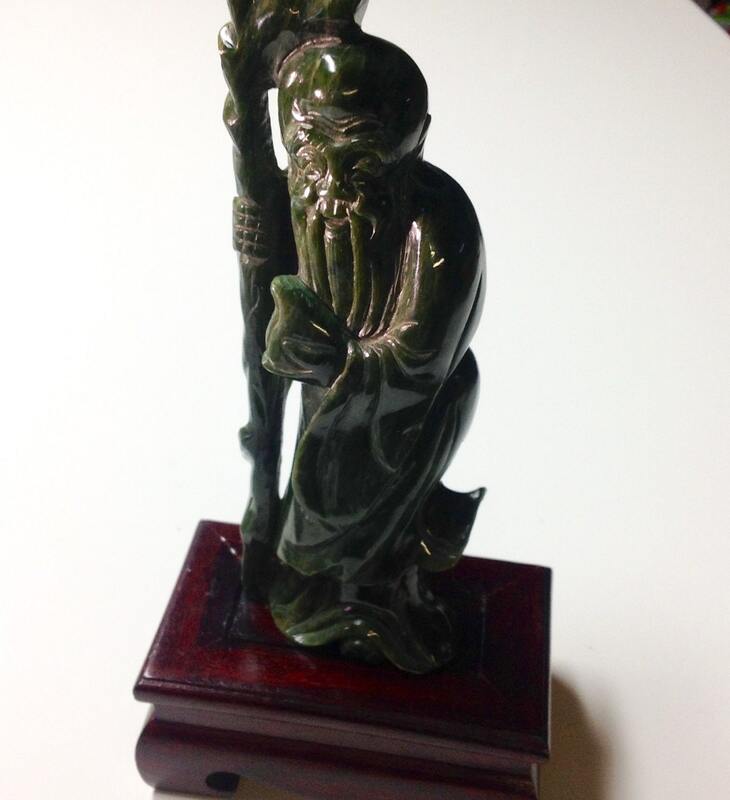 Condition is outstanding with one small fleabite to the robe of the figure.